October | 2011 | Vikings, Books, etc. I completely missed Leif Eiriksson day–a particularly egregious lapse, since my dissertation research in Iceland was funded by the Leifur Eiríksson Foundation. Some Scandinavianist I am. Ah well. I will make up for it by pointing out that, just as Leif Eiriksson Day (October 9th) precedes Columbus Day (October 10th), the Icelander Leifr Eiríksson preceded Columbus in North America by 500 years. No permanent settlement was ever made in North America–it was just too far from the centers of Scandinavian society and culture for a Scandinavian colony to be sustainable–but he was followed by a few other expeditions, and Greenlanders continued to harvest lumber in North America in the following centuries. 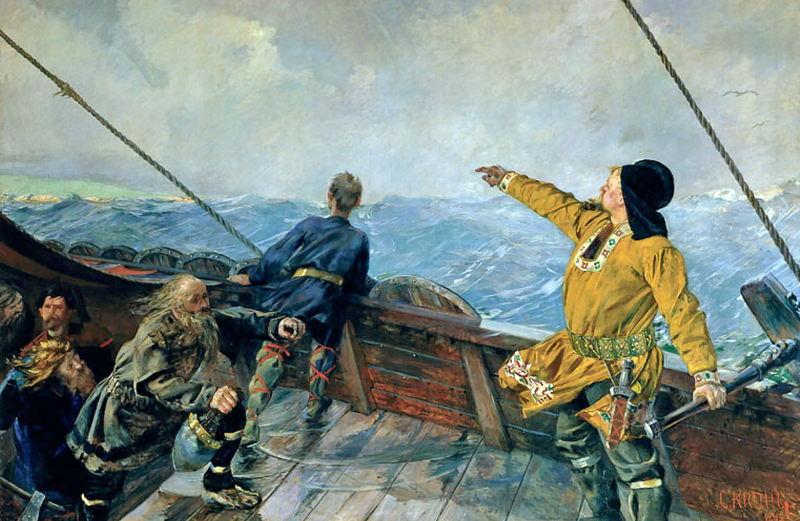 We have two stories about the discovery of and attempt to exploit North America: Grænlendinga saga and Eiríks saga, both collected together as the Vinland Sagas (there are two translations out now–the old Magnus Magnusson and Hermann Pálsson translation, and the new translation by Keneva Kunz, with an excellent introduction by Gísli Sigurðsson). There are a lot of interesting things we could say about these sagas and the history of the scholarship re: the Norse encounter with America, but for now I will point out that the Norse in Vinland behaved as we might expect considering their patterns of exploitation in the rest of the world during the Viking age. No, I don’t mean they went around pillaging (though they did get into a few fights). And keeping in mind my post on the term “Viking”, let’s not forget that, while we speak of “Vikings” discovering America, “Viking” really just means “Pirate”, and the Scandinavians exploring North America would certainly not have called themselves “Vikings”. I believe it was my archeologist friend Dayanna who first pointed this out to me. According to Grænlendinga saga (Saga of the Greenlanders), “…when the Skraelings saw the milk they wanted to buy nothing else. And so the outcome of their trading expedition was that the Skraelings carried their purchases away in their bellies, and left their packs and furs with Karlsefni and his men” (from Magnus Magnusson and Hermann Pálsson’s translation). The next day the Skraelings come and attack them. Well, OK, a few other things happen in between to get the conflict going, but what if the problem is misdiagnosed by the saga? From what I’ve read and been told, most people who stop drinking milk will eventually become lactose intolerant. If the Native Americans encountered by the Norse were not used to drinking milk (“That’s what babies eat! Do you know where that came from? Gross!”), then we might imagine that they had an uncomfortable night. Well, what would YOU do the next day? Well, I don’t really know how to draw a Native American for this time period, so I apologize for just making them bare and brown. Also, the smurf hat for the Viking was more of a whim–I don’t know whether they actually wore things like that or not. The comic strip is available as a print, card, mug, etc. 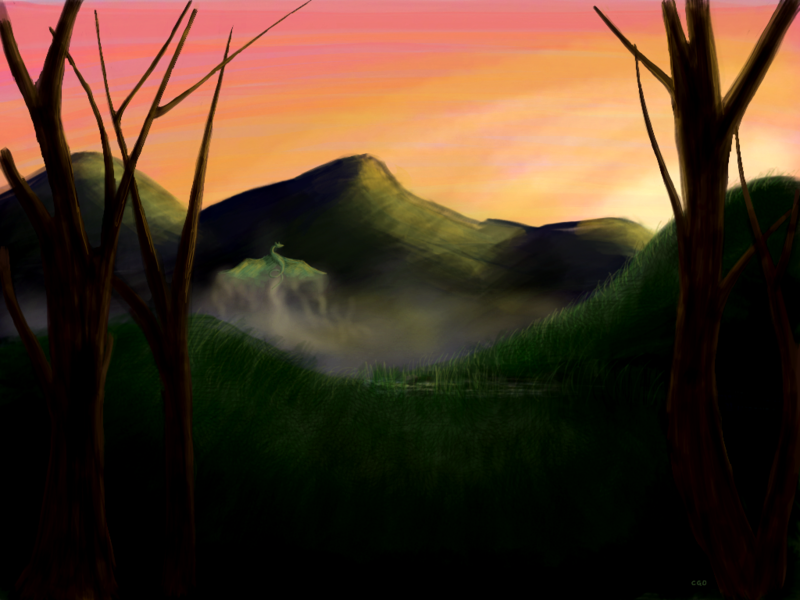 on DeviantArt.